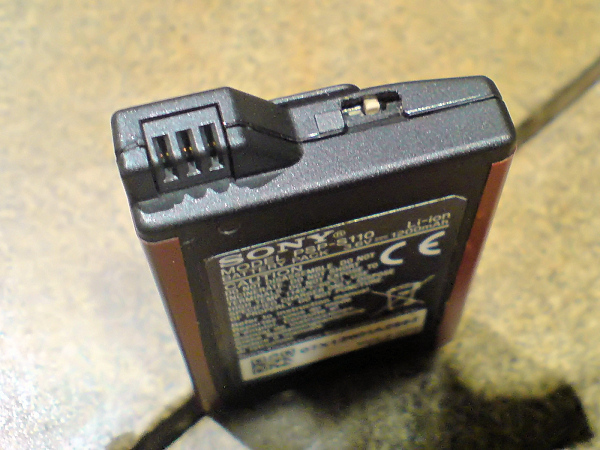 This tutorial was originally posted by JayL on pspmod.com, I hav jus bit edited it n Posted here.....alright let us continue..
With this mod you are able to swich your PSP-Slim Battery from Pandora to normal mode and vice versa as you want. So no need to buy another Spare battery. 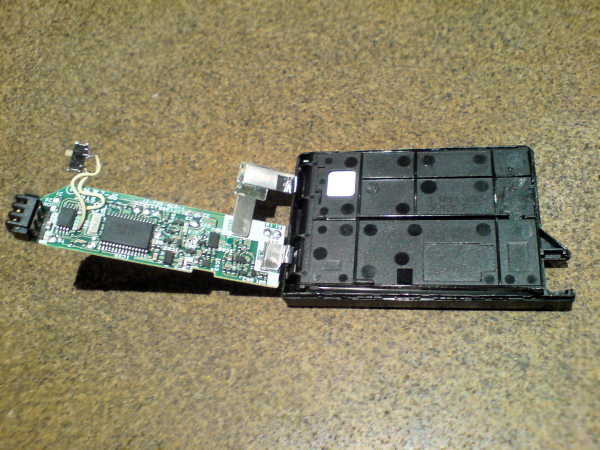 Open your slim battery. I have used a guitar pick to do it. Just slide the pick or whatever you use along the join between the upper and lower half of the battery while breaking it open carefully.Only use plastic whatever to open case, NEVER use metal cause it can slip and short out the battery and then its garbage. You will see a small PCB. Gently bend it back like in the picture below. 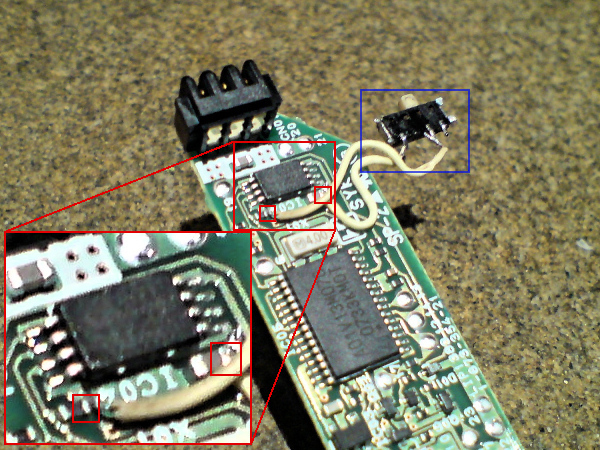 Now you have to solder thin wires to the two small contacts i have marked in the picture with red rectangles.My wires are from a 80-conductor IDE cable. I don't think that you can take much thicker wires because space is very rare. Don't leave your soldering iron on the contacts too long, as this will destroy the parts. At this step you also have to solder a very thin on/off switch to the other end of the wires (blue rectangle). I got mine from a broken usb memory stick, at which it was the write protection switch. You have to cut away some plastic from the lower side of the battery to route the wires and to make a hole for the swich. I marked the spots where i cut it away red in the blue box. Now gently bend the PCB back to it's normal place and route the cables and the switch to their final location. Now fix the switch to stay in it's place with some superglue or duct tape.I would recommend duct tape first, to correct something, if you did something wrong. 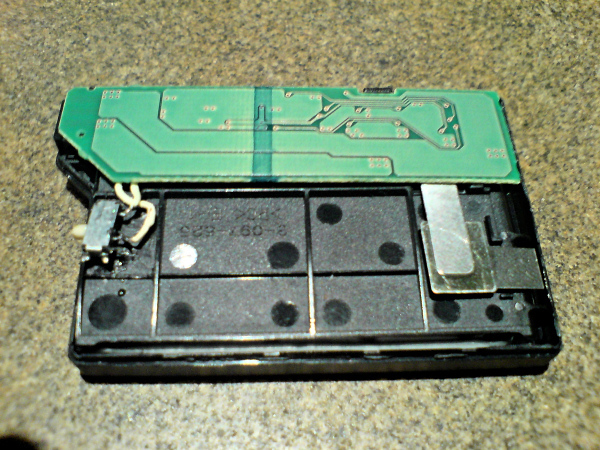 The switch must not overhang, cause else the battery will not fit in your psp anymore. 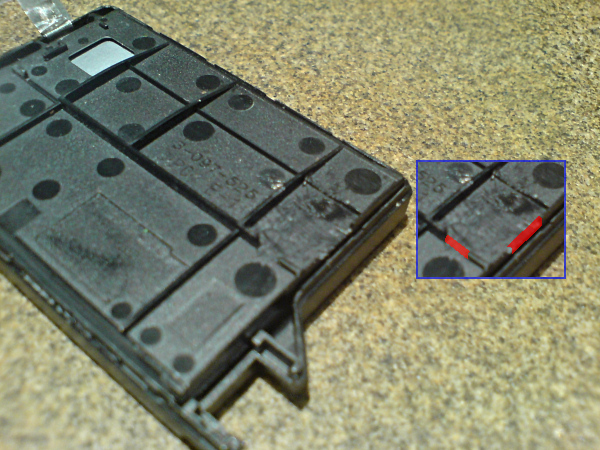 Also cut away some plastic at the upper half of the battery at the same position where you cut it away on the lower half, so that you can reach the switch inside. You can see in the pic how much you have to cut away approximately. After that put the halves back together again and fix them with some superglue or duct tape. 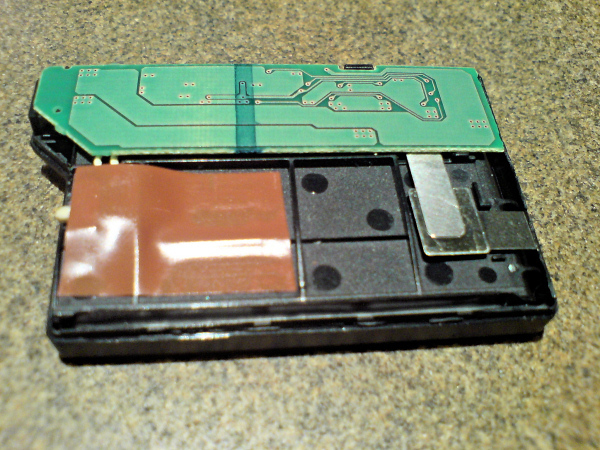 Now you will have a working and switchable Pandora-Battery for your slim PSP. Just use your switch now to choose the function of it! rockin work........did make it up or did u find it somewhere? This tutorial was originally posted by JayL on pspmod.com, I have just edited it n Posted here.....alright let us continue..
what about the phat battery??? Awesome, it'd be cool if you could do this with the phats.